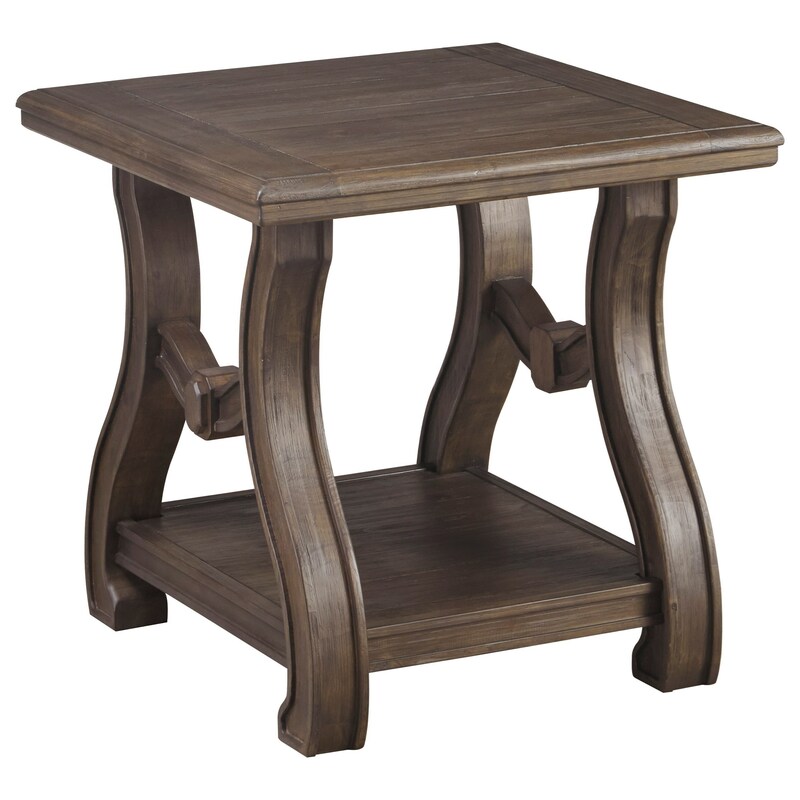 The charming design of the shaped legs and brace of this square end table offers a cottage style detail. The plank-look top and distressed finish over pine veneers contribute a casual feel to its overall look. Update your living room with this unique character of this end table. Its open shelf add storage and display space. The Tanobay Square End Table with Cottage Style Base & Shelf by Signature Design by Ashley at Zak's Home in the Tri-Cities, Johnson City, Tennessee area. Product availability may vary. Contact us for the most current availability on this product. Case Construction Constructed with pine veneer over engineered board, pine solids and cast resin. Browse other items in the Tanobay collection from Zak's Home in the Tri-Cities, Johnson City, Tennessee area.